Notting Hill Housing Trust is an important provider of housing in Southwark, both ‘affordable’ and private. It has plans to build more than 4000 homes in Southwark; 3500 of these will be on the Aylesbury estate, which it is redeveloping in partnership with Britain’s largest - and the mayor’s favourite - housebuilder Barratt Homes. According to the NHHT website, a hybrid application comprising outline planning for the whole Aylesbury and detailed planning for the first phase is due to be submitted by the NHHT/Barratt consortium next month. Notting Hill has secured more money than any other housing association from the Mayor’s affordable housing fund (£59m - nearly three times the amount of the next highest provider). However, it is well known that a condition of getting money from this funding stream is that only affordable rented homes can be built - not social rented. 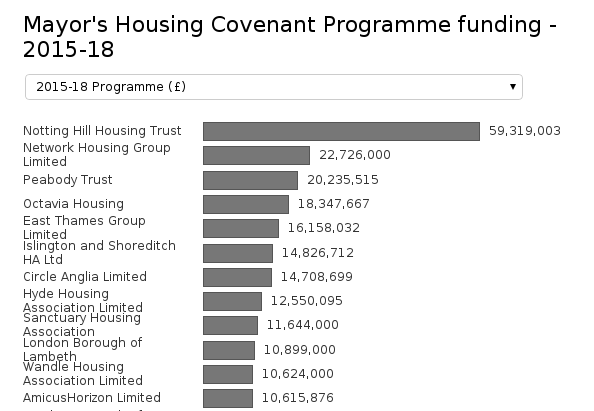 This was cited by London Labour housing spokesperson Tom Copley as the reason why so few housing associations had applied for the funding, of which £380m still remains unallocated. Notting Hill Housing Trust enthusiastically endorses the Mayor’s affordable rent policies, which may explain why Boris Johnson is so happy to give it so much money. Aylesbury estate tenants will have the right to a tenancy in the new Notting Hill development and those already ‘decanted’ to other parts of the borough will have the right to return, but if the affordable rents are 80% of market rent this won’t mean very much. Southwark Council’s recently published ‘Affordable Rent Product Study’ gives £289pw as the market rent of a 1-bed flat in SE17 – 80% of this would be £231pw. A council rent for a 1-bed flat in SE17 is currently around £100pw. Southwark Council has repeatedly said in public that there would be 50% affordable housing on the new Aylesbury, of which 75% would be social rented and this was written into its planning policy for the scheme. Notting Hill Housing Trust now says that social rent is the same as affordable rent and probably thinks that people are too stupid to tell the difference. We think that any Aylesbury tenant moving into one of the replacement homes should not be expected to pay much more than their current council rent. If Southwark doesn’t want to see another Heygate-style diaspora of long-standing communities then it should hold good on its promises, stick to its policies and ensure that policy definitions are not allowed to be blurred. 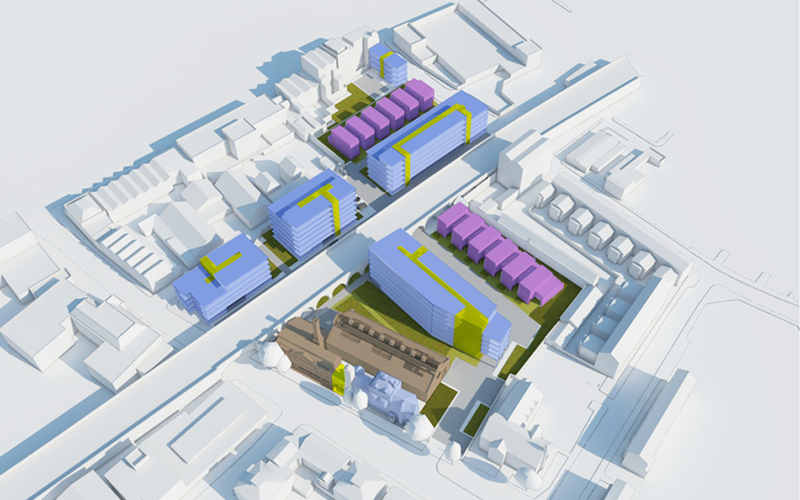 We blogged in June about the prospect of no social housing in Notting Hill Housing’s Manor Place Depot development. Since then NHHT appears to have had a change of heart. The 35% target for affordable housing would be met, with 95 units out of the 270 proposed. Of these 95 units, 50% will be affordable rent and 50% shared ownership. NHHT defines affordable rent as including social rent, and there will be some social rent though they don’t know how much until the viability assessment. NHHT policy, they say, is for all the family units to be at social rent. Since the first exhibition, NHHT has received GLA funds for all of its sites. This contributes £30,000 - £40,000 of the cost per unit, they say. NHHG were unwilling to provide information as to what exact tenure mix this public funding will subsidise, and how it differs per site. 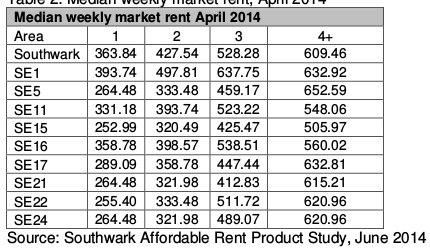 On affordable market rent, NHHT say they don’t go anywhere near 80% market rent and have a cap in London of £230 (i.e. this is the maximum affordable market rent they will charge, they say). __We say:__Social rented housing and affordable rented housing are not one and the same thing, Notting Hill Housing Trust needs to stop muddying the waters. If it wants to start consulting meaningfully with local people it must tell them exactly how much social rented housing there will be and how much affordable rented housing there will be and exactly how much rent they will be charging for each.